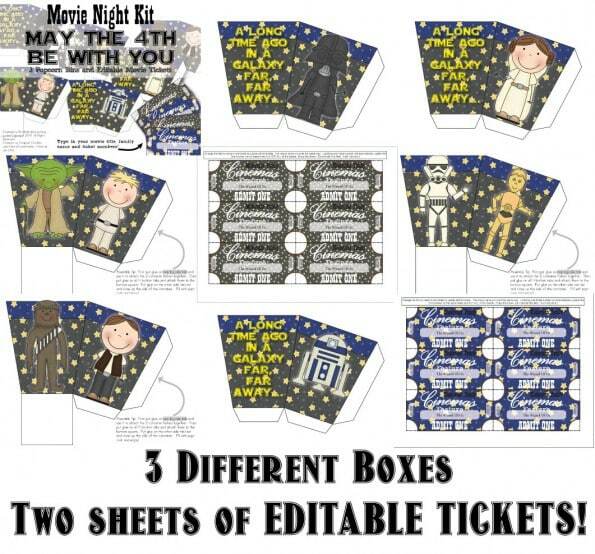 » May The 4th Be With You: Popcorn Boxes! Popcorn Boxes? I can print POPCORN BOXES?? If you’ve been around me for very long, you’ll already know that I pretty much think nearly anything can be designed and printed. Someone else might have never even given this idea half a chance, but when I hit on the idea to print out popcorn boxes for a movie night, well…. There was no stopping me. These boxes might surprise you! We’ve also found that these will each hold about half of a bag of microwaved popcorn or if you’re using an air-popper you’ll need to pop 1/8th of a cup of kernels per box. Easy! 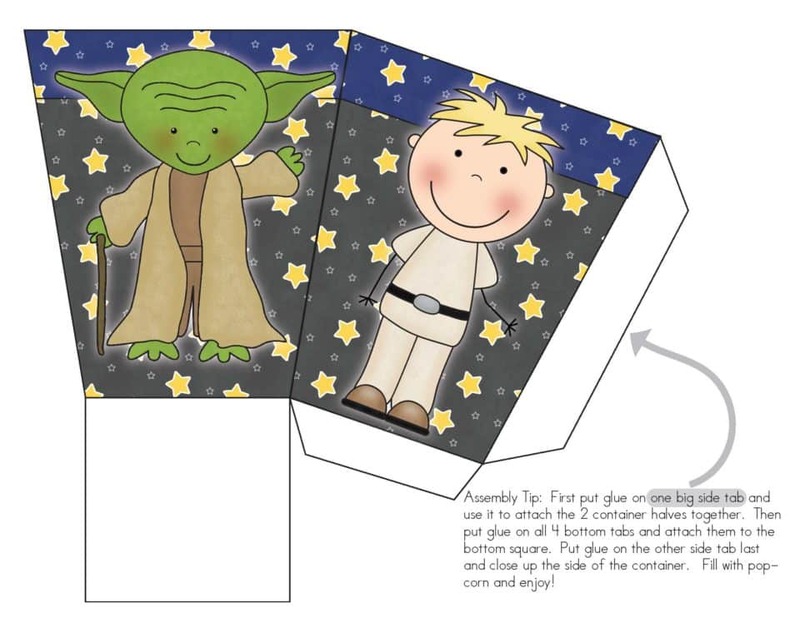 Previous Post 90% Off The Alphabet Boxable Set! Next Post NEW Beautiful Letter Coloring Pages PLUS A GIVEAWAY!